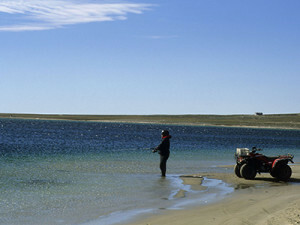 Several communities in Nunavut have special campground areas prepared and equipped for visitors. 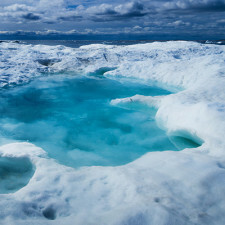 These campgrounds, which are part of the Territorial Parks of Nunavut, provide a pleasant, economical alternative to hotels or other kinds of lodgings. Some come equipped with tent pads, windbreaks, fire pits, picnic areas and outhouse facilities. 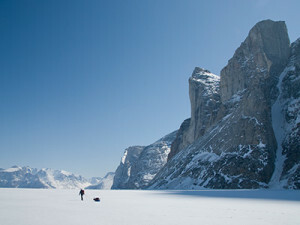 Camping is the least expensive accommodation alternative for visitors to Nunavut, but it requires preparation and specialized gear. All camping in Nunavut should be considered wilderness camping — even at campgrounds located very near communities. Tents must be secured for strong arctic winds and campers must be aware of the local wildlife. Visitors must be mindful to protect their belongings when absent from their tents. All camping in Nunavut should be considered wilderness camping — even at campgrounds located very near communities.